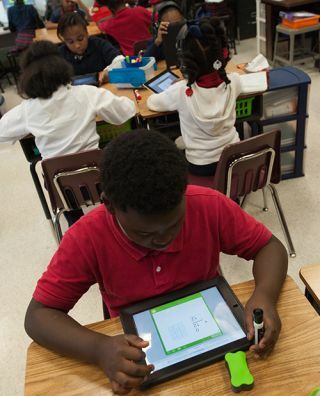 A large-scale research study of 4,000 students in 230 U.S. classrooms has shown that using MobyMax Math for less than 20 minutes per day enables students to advance as much as one full school year. The study used a randomized control experiment design, the gold standard of education research methodologies, that qualifies as “Tier 1 – Strong Evidence” under the ESSA guidelines for evidence-based interventions. In addition, the study met the evidence standards of the IES and WWC. The Math study showed that MobyMax Math improves student outcomes with an effect size of .702. This is equivalent to roughly one school year of additional growth. Given the size and design of the study, the results of the analysis show that MobyMax Math is an effective intervention that reliably produces significant positive outcomes for K-8 students.